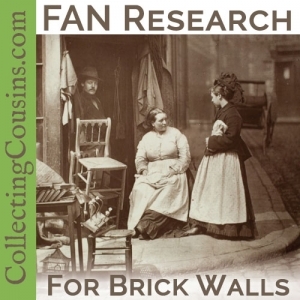 One of the best ways to shed more light on an ancestor’s story or to get past what seems to be a brick wall is to delve into their “FAN club”, as Elizabeth Shown Mills aptly named it.1FamilySearch.org Wiki Page for Elizabeth Shown Mills, updated 23 October 2015: https://familysearch.org/learn/wiki/en/Elizabeth_Shown_Mills FAN research, also called cluster research, is researching the people that cluster around your ancestor: friends, associates, and neighbors. 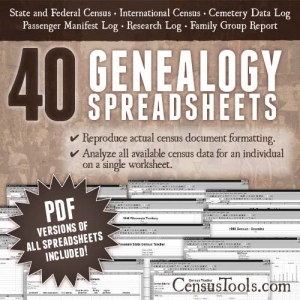 If you have been researching for any amount of time, you will have noticed some of the same names popping up in documents, articles, and other sources — perhaps the pallbearers at a funeral were also the witnesses to a baptism, or the tutor in a succession file was listed in a census on the same page as your ancestor. These people were significant in the life of your ancestor, and fully researching them can reveal clues or facts that you might not otherwise find. When digging deep into the past of a particular individual, it’s easy to get hyper-focused and forget that our ancestors did not exist in a vacuum. Although it is tempting to think that it is wasting time to research anyone that isn’t in our direct ancestral line, following the trails of friends, associates, and neighbors can provide the information that leads you to a breakthrough in your research. Cluster or FAN research is also important in presenting your ancestor in the appropriate setting. Was he an immigrant who was part of a migration chain in search of work? Who were the people who were important in his or her life? 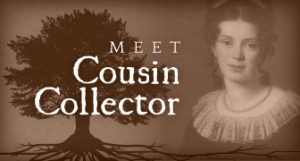 Elizabeth Shown Mills’ Rootstech presentation “The Problem-Solver’s Great Trifecta: GPS+FAN+DNA” gave an excellent example of how researching the FAN club for her ancestor gave her the leads she needed to move toward breaking through what appeared to be a brick wall. On her blog, Mills shows how researching the FAN club of a female with a common name can give enough clues to confirm identity. In my New Orleans research of Auguste Dupuy, I am using a detailed analysis of the family’s neighbors to determine the exact property that the Dupuys rented on North Rampart Street in 1840. Because I have the 1840 New Orleans census, the 1841 New Orleans city directory for which information was gathered by the census enumerator, and the chain of title records for the street, I am able to reconstruct where many of the people lived and convert those addresses to the street numbers in use today, which allows me to match them to the properties. This isn’t so much a brick wall buster as it is a way of connecting the properties with the people who lived in them, but in researching these sources I have found many names that also appear in other documents associated with the Dupuy family, indicating their importance in the lives of my ancestors. This short video from Crista Cowen and Ancestry.com is a good introduction to using the FAN Club for research. 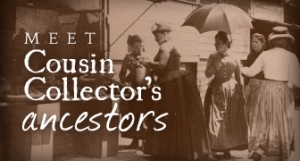 If researching your ancestor’s FAN club doesn’t give you the clues you need, try these 20 Things to Do When You Are Stumped from FindMyPast.